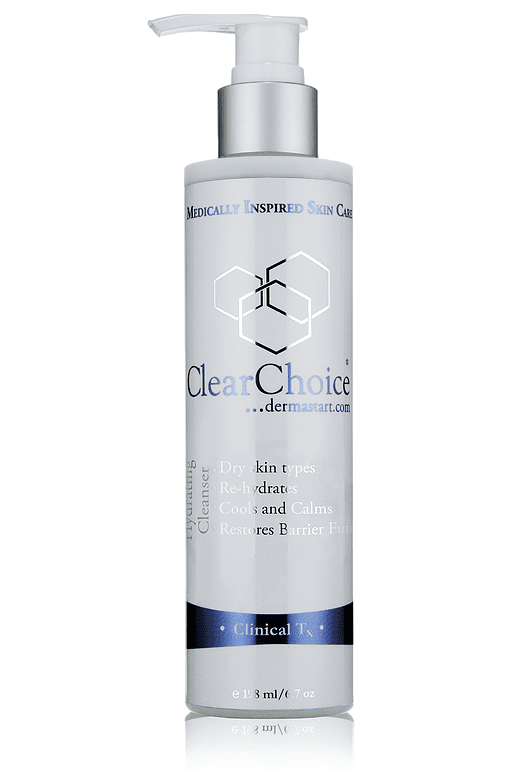 ClearChoice, a division of Dermastart, Inc is a results driven skin care line that utilizes botanical and active ingredients to achieve physician grade results. 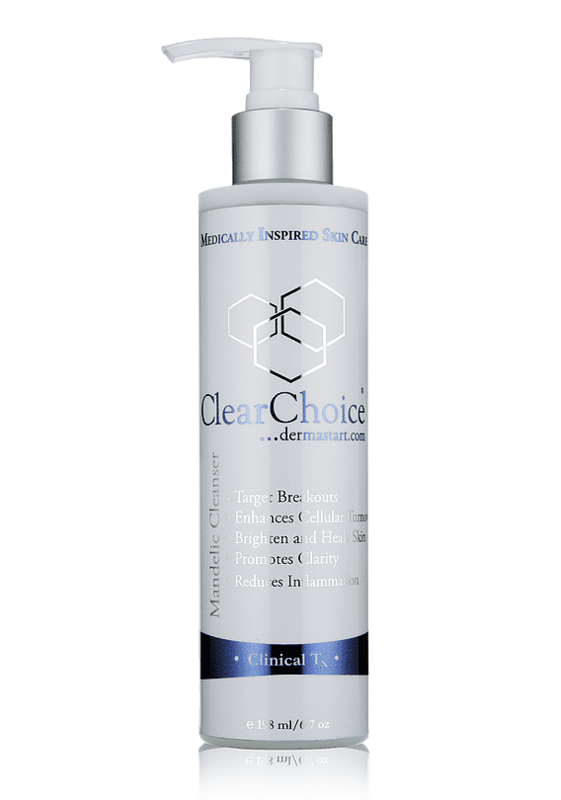 The mission of ClearChoice is to promote the principles of education with innovative trends to the cosmetic industry and provide skin care professionals with scientific and technological knowledge to help them achieve a strong foundation to build their business to its greatest potential. Safe and effective way to combat the spreading of P. Acnes Bacteria without damaging the surrounding skin. This new improved liquid formula BP 8% is 30 times stronger than most Benzoyl Peroxide formulations. Benzoyl Peroxide is an anti- bacterial agent that is safe and is an effective way to combat the spreading of P- acnes bacteria. Use to spot treat acne lesions. Apply to affected area 1-3x daily or as directed. 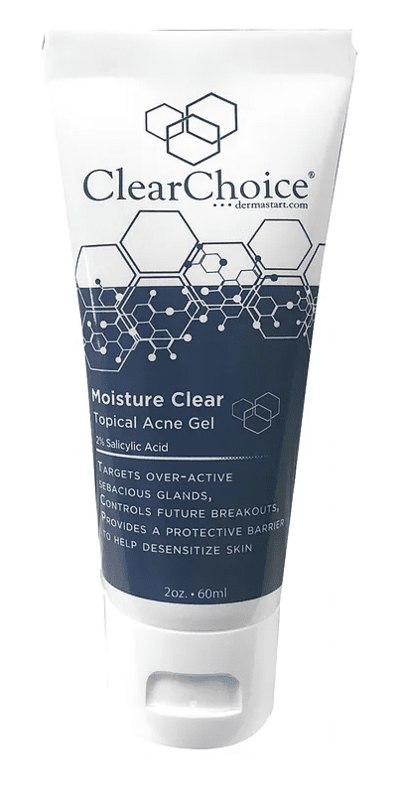 Purified water, Certified Organic Aloe Vera Gel, Japanese Green Tea Extract, Vegetable Glycerin, Cetearyl Alcohol (and) Ceteareth-20 , Benzoyl Peroxide, Caprylic/Capric Triglycerides, Alpha Lipoic Acid,Cetyl Alcohol, Dexapanthenol (Vitamin B5), Vitamin E Acetate, Lecithin, Retinyl Palmitate (Vitamin A), Sodium Hyaluronate, NaPCA, Extracts of Corn Silk, Alpha Bisabolol (Chamomile), Comfrey Root and Centella Asiatica, Magnesium Ascorbyl Phosphate (Vitamin C) and Grapeseed Extract. This special formula contains an African plant derived complex that dries out and prevents reoccurring breakouts by controlling sebum production and minimizing pore size.. Shake well. Use as a spot treatment or apply to T Zone to minimize pores and control sebum production. Purified Water (Aqua), Certified Organic Aloe Vera Gel, Caprylic/Capric Triglycerides, Sweet Almond Oil, Avocado Oil, Sesame Seed Oil, Micronized Zinc Oxide, Glyceryl Stearate, Montmorillonite Clay, USP Glycerin, Hyaluronic Acid, Sodium PCA, Dimethicone Copolyol, Rosehip Seed Oil, Evening Primrose and Borage Oil, Camphor, Micronized Flower of Sulfur, Bentonite, Enantia, Chlorantha, Protoberberines, Oleanic Acid, Wheat Protein Amino Acid and Silk Protein Hydrolysate, Soy Isoflavonoids, Ginseng, Eyebright, Alpha Bisabolol (Chamomile), Ginkgo Biloba, Usnea Barbata, Green Tea, Grape Seed, Centella Asiatica, Peppermint Oil, Retinol Palmitate, Beta Glucan and Phenoxyethanol. Gentle Foaming Cleanser is a soap-free foaming cleaning gel designed to help your skin achieve its natural pH balance. Place small amount in moistened hands. Mix into a rich lather. Apply to face/neck and gently massage. Rinse with tepid water. Repeat if necessary. Purified Water (Aqua), Certified Organic Aloe Vera Gel, Cocamidopropyl Betaine, Caprylic / Capric Triglycerides, Sodium Hydroxymethyl, USP Glycerin, Glycol Stearate, Soapwort, Yucca and Alpha Bisabolol (Chamomile), Sodium Lactate, Extracts, Phenoxyethanol. Creamy cleanser that is extremely gentle, soothing, healing, and hydrating. Amazing for dry, dehydrated and sensitized skin. Place small amount in moistened hands. Mix into a rich lather. Apply to face/neck and gently massage. Rinse with tepid water. Gentle enough to remove eye makeup. Certified Organic Aloe Vera Gel, Hyaluronic Acid, Squalane, Vitamin E, Dimethylaminoethanol (DMAE), Alpha Lipoic Acid, d-Panthenol (Vitamin B5), Yucca Extract, USP Glycerin, Soapwort, Chamomile Extract, Vitamin C ( L-Ascorbic Acid ), Azulene, Cucumber Extract, Allantoin, Orange Extract. This gel cleanser combines Mandelic Acid, Enzymes, and Turmeric to gently exfoliate and remove impurities from the skin. Certified Organic Aloe Vera, Cocamidopropyl Betaine, PEG-100,Disodium Cocoamphodiacetate, Lactamide MEA, Tocopheryl Acetate, Alpha Bisabolol (Chamomile), Disodium Lauryl Sulfosuccinate, Sodium Hyaluronate, Mandelic Acid, Camelia Sinensis (Green Tea), (2s)- 2- Amino- 5- Guanidinopentanoic Acid, Cocamide MIPA, Prunus Armeniaca (Apricot Kernel Oil), Punica ranatum (Pomegranate), Hydratis Candensis (Goldenseal), Humulus Lupulus (Hops), Cymbopogon Schoenanthus (West Indian Lemon Grass), Organic Simmondsia Chinensis (Jojoba Oil), Panthenol, Organic Rosmarinus Officinalis (Rosemary), Curcuma Longa (Turmeric), Carica Papaya (Papaya Enzymes), Mel (Honey), (Glycine, L-Alanine, L-Serine, L-Valine, L-Proline, L-threonine, L-Isoleucine, L-Histidine, L-Phenylalanine, L-Arginine (Silk Amino-Acids), Phenoxyethanol. 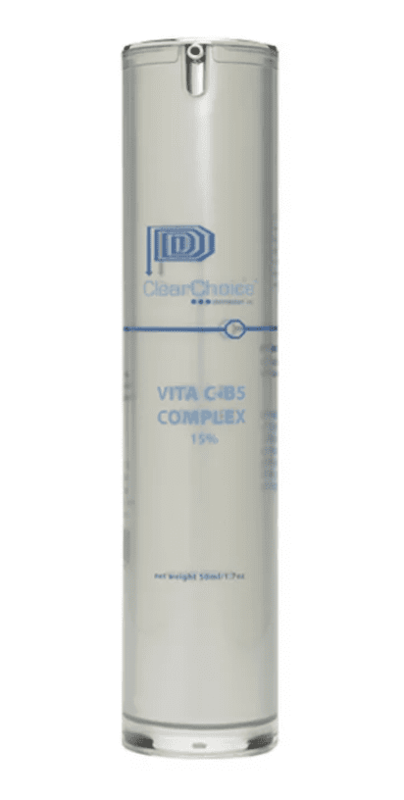 Using this targeted acid, hyperpigmentation is diminished by 34% and skins clarity improves by 52%. Phytic Acid is clinically proven to improve skin’s clarity by 52% and diminish hyperpigmentation by 34%. Using this targeted acid, hyperpigmentation is decreased by chelating copper to inhibit tyrosinase enzymes involve in melanin formation. With a cotton ball, apply Hyperpigmentation T Solution to clean, dry skin. 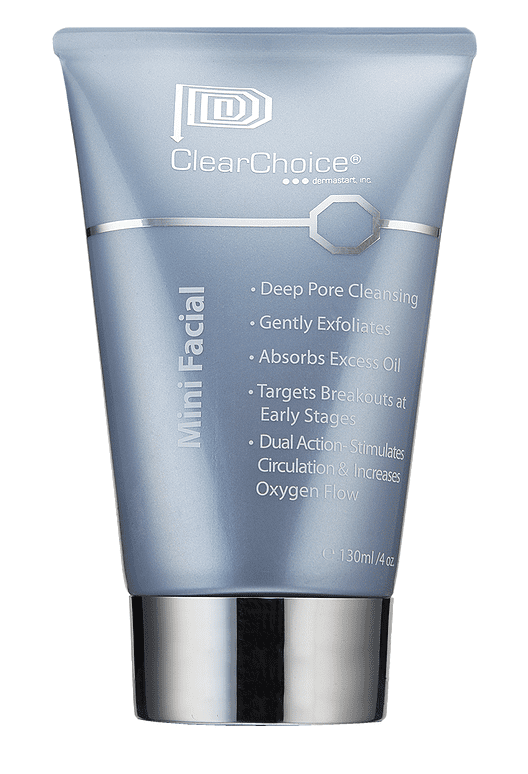 Follow with ClearChoice® Serum and/or moisturizer. Phytic Acid and Niacin in an aqueous solution. Invigorating camphor scrub recommended as a 10-minute mask to reduce black head formation while absorbing excess oil to purify and refine pores. Target unwanted discoloration without the use of hydroquinone. Target unwanted discoloration without the use of hydroquinone. Ideal for daily maintenance to help promote healthy skin and unveiling a flawless complexion. Aqua (Water), Aloe Vera Gel, Caprylic/Capric Triglyceride, Coco-Caprylate/Caprate, Glycerin, Olive Squalane, Butyrospermum Parkii (Shea) Butter, Rosa Canina, Sodium Hyaluronate, Rumex Occidentalis Extract, (Rose Hip) Fruit Oil,Phenyl t-Butylnitrone, rh-Oligopeptide, Caprooyl Tetrapeptide-3, Pelvetia Canaliculata Extract, Kojic Acid, Camellia Sinensis (Green Tea), Leaf Extract, Malva Sylvestris (Mallow) Extract, Mentha Piperita (Peppermint) Leaf Extract, Primula Veris Extract, L-Ergothioneine, Alchemilla Vulgaris Extract, Veronica Officinalis Extract, Melissa Officinalis Leaf Extract, Achillea Millefolium Extract, Thioctic (R-Lipoic) Acid, Leontopodium Apinum Extract, L-Acetyl Carnitine HCl, Lavandula Angustifolia (Lavender) Oil, Xanthan Gum, Santalum Austrocaledonicum (Sandalwood) Wood Oil, Sodium PCA, Polysorbate 20, Phenoxyethanol, Phytic Acid, Citrus Aurantium Dulcis (Orange) Peel Oil. Unique lightweight lotion combined with powerful antioxidants and Vitamin C (L-Ascorbic Acid) and B5 to improve firmness, tone, texture and appearance. Certified Organic Aloe Vera Gel Camellia Sinensis (Japanese Green Tea) Leaf extract, Sodium Hyaluronate, USP Glycerin, Tocopheryl Acetate (Vitamin E), d-Pantothenate (Pro-Vitamin B5), L-Ascorbic Acid (Vitamin C), Evening Primrose, Slippery Elm, Borage Oil, Arctostaphylos Uva Ursi, Magnesium Ascorbyl Phosphate (MAP), L-Carnosine, Pycnogenol, Glycyrrhiza Glabra (Licorice) Rhizome/Root, Centella Asiatica, Xanthan Gum, Dimethylaminoethanol (DMAE), Thioctic Acid (Alpha Lipoic), Acerola Extract, Oilve Squalane, Co Enzyme Q-10, Quercetin, Retinyl Palmitate (Vitamin A), Marine Extracts, Neroli Extract. Lightweight gel based moisturizer formulated with 2% Salicylic Acid, and natural emollients that are fortified with vitamins and antioxidants. Purified Water (Aqua), Certified Organic Aloe Vera Gel, Dimethicone, Hydrolyzed Wheat Protein, Carboxymethyl Cellulose, Ginseng, Green Tea, Grapeseed Extract, Salicylic Acid, Polysorbate 20, Tocopheryl Acetate (Vitamin E), Ergocalciferol (Vitamin D), Cyanocobalamine (Vitamin B12), Sweet Almond Oil, Phenoxyethanol, Azulene. CopperICE Cream maintains its natural bio-protective properties and promotes keratinocyte growth with fibroblast adhesion for a skin regenerating effect. CopperICE Cream maintains its natural bio-protective properties and promotes keratinocyte growth with fibroblast adhesion for a skin regenerating effect. Using daily will enhanced wound healing, skin firmness, elasticity, reduces the appearance of wrinkles, and promotes cellular turnover. Purified Water (Aqua), Certified Organic Aloe Vera Gel, Camellia Sinensis Leaf Extract (Green Tea), Sodium Hyaluronate, USP Glycerin, L-Ascorbic Acid (Vitamin C),Tocopherol Acetate (Vitamin E), Ferulic Acid, Copper Gluconate, Pseudoalteromonas Ferment Extract, Butyrospermum Parkii (Shea) Butter, Azulene, Pantothenic Acid, Polygonum Avicular Extract, L-Cartitine, Super Oxide Dismutase, Leontopodium Apinum Extract, L-Ergothionine Bambusa Vulgaris (Bamboo) Extract, Panthenol (Vitamin B5), and Ergocalciferol (Vitamin D), Tocopheryl Acetate, Linoleic Acid, Watermelon Extract, Cyanocobalamin (Vitamin B12), Phenoxyethanol. Rapid new technology that allows a continuous all day active release of acne fighting ingredients. This superior cleanser contains a rapid new technology that allows a continuous all day active release of acne fighting, Benzoyl Peroxide. R/R Cleanser penetrates deep down into the pores to eliminate the source, Propionibacterium acnes, acne causing bacteria. This gel like cleanser combines Mandelic Acid, Enzymes and Turmeric to gently exfoliate and remove impurities from the skin. These powerful ingredients work to reduce inflammation while a unique blend of silk proteins helps restore balance and hydration leaving your skin with sheer clarity and results without the irritation that some BPO leave behind. 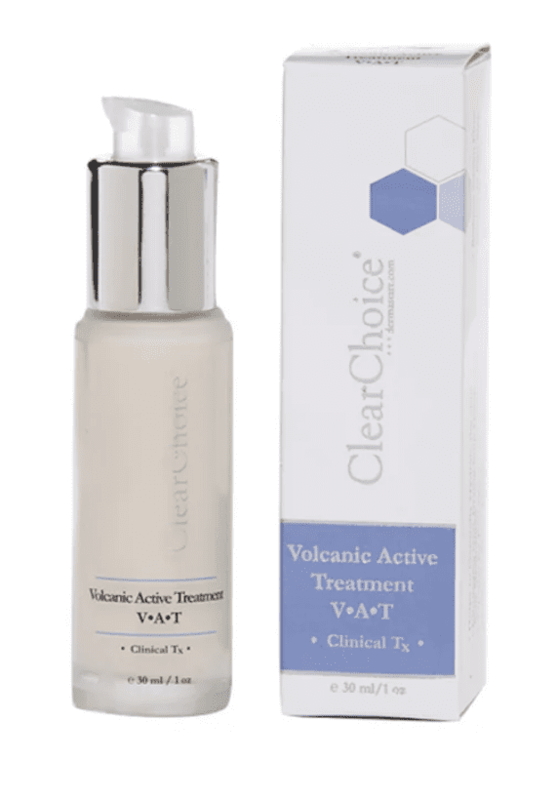 This treatment solution helps to re-balance the skin’s pH level, while infusing the skin with nourishing, brightening, and anti-inflammatory ingredients that help to reduce free radicals and acne breakouts. Using daily promotes healthy dermal cell renewal and a glowing complexion. 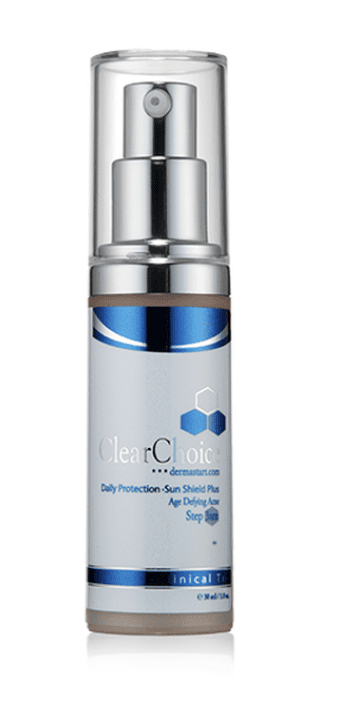 Sun Shield Plus is recommended for Oily/Acneic skin types to help protect against harmful sun exposure. Using Sun Shield Plus SPF • 30 daily will help control future breakouts and over active sebaceous glands. 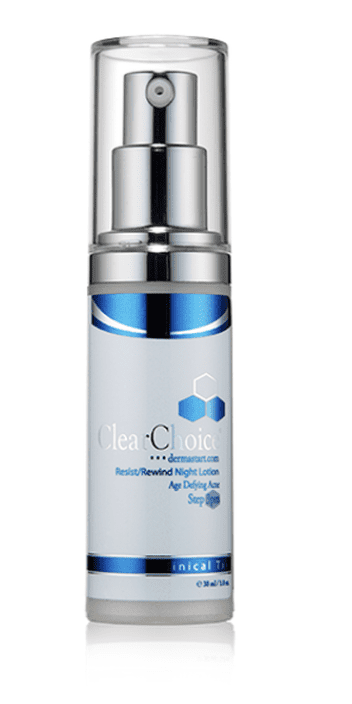 As your skin demands critical night time repair, Resist/Rewind Night Lotion Cream penetrates deep within your skin to help fight against breakdown and breakout. While you sleep; Peptides, Antioxidants, and Monk’s Pepper work together as damaging defenders. 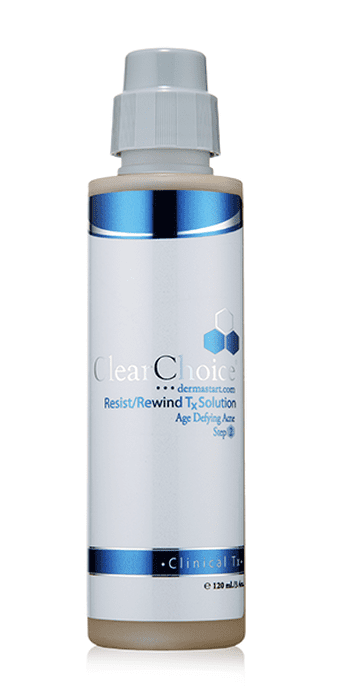 This renewal state is essential for resisting against future breakouts, diminishing the depth of lines and wrinkles, giving tautness to the skin, and speeding up the regeneration process of skin cells for a clear healthy complexion.